I’m an Assistant Professor in the Writing Program at the University of California, Santa Barbara, where I teach courses in rhetoric and professional writing. I earned my Ph.D. in Rhetoric and Scientific and Technical Communication from the University of Minnesota in 2007. I also hold a master’s degree in Technical and Professional Writing from Northeastern University in Boston, Massachusetts, and a bachelor’s degree in Geography from Clark University in Worcester, Massachusetts. My research focuses on how visual, material, and written artifacts and genres function rhetorically to give voice to underrepresented groups or allow for the creation of new knowledge-making practices. Underpinning my scholarly work is the notion that rhetoric and technical communication can function in the service of advocacy. My research interests include visual and material rhetorics, environmental and sustainability rhetorics, digital and posthuman rhetorics, rhetoric and technical communication as advocacy work, classical and contemporary rhetorical theory, animal studies, human geography, critical cartographies, and critical GIS. 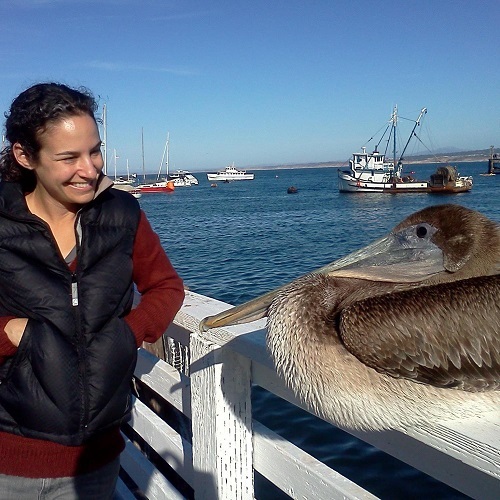 I am also an animal care volunteer with the Santa Barbara Wildlife Care Network (SBWCN) and an affiliated, registered volunteer with the Oiled Wildlife Care Network (OWCN).